Congratulations to the recipients of the 2015 International Awards! The Royal College of Physicians and Surgeons of Canada, along with the ICRE planning committee, would like to congratulate the recipients of the 2015 Awards. 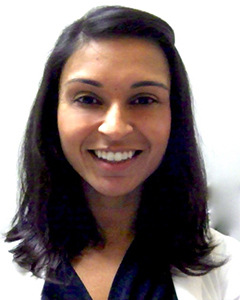 Dr. Deepa Shah is a third year surgical resident at the East Carolina University School of Medicine/Vidant Medical Centre, in Greenville, USA. Dr. Shah discovered her passion for General Surgery during a Surgical ICU rotation in her second year as an Obstetrics and Gynecology resident, and worked extremely hard to make her transition between programs as seamless as possible for her fellow residents and attendings. Throughout her residency, Dr. Shah has used her excellent leadership skills to help benefit her colleagues, and resident education overall. She has organized an operative cadaver experience for residents; set up successful laparoscopic skills labs for medical students; and has served as interim chief resident. Since 2011, Dr. Shah has also been a volunteer with the Brody Ambassadors program, which helps connect the Brody School of Medicine to the community, and offers mentoring to local high school and college students who are aspiring physicians. Dr. Shah also serves on the Graduate Medical Education Resident Council, where she helps shape many of the decisions which affect the residents and patients of the Vidant Medical Centre. Please join us in congratulating Dr. Shah on this esteemed honour! Dr. Neela Al Lamki is a Professor of Radiology at Sultan Qaboos University Hospital, and Vice President for Academic Affairs and a Designated Institutional Official at the Oman Medical Specialty Board (OMSB), Muscat, Oman. She recognized the value and importance of quality medical education early on in her career, and as a result, has been committed to advancing residency education for more than three decades. Over the last 34 years, Dr. Al Lamki has held various academic, training, and administrative positions in Canada, the United States, the United Arab Emirates, and now, Oman. 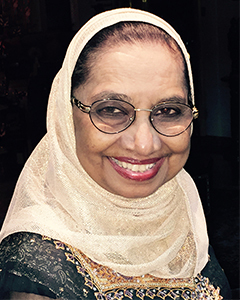 Since joining the Sultan Qaboos University Hospital in 2004, she has made tremendous contributions to the field of Radiology in the country, which has culminated into the creation of an established residency program under the umbrella of OMSB, of which, she is one of the founding members. Since being appointed as OMSB’s Vice President for Academic Affairs in 2006, Dr. Al Lamki has been instrumental in the development of medical education throughout the country. Under her leadership and guidance, Oman now has 18 structured training programs in medical, surgical and laboratory fields, which emphasize the CanMEDS Roles. Please join us in congratulating Dr. Al Lamki on this well-deserved honour! Dr. Shah and Dr. Al Lamki will officially receive their awards at the International Residency Education Awards Dinner, October 24, 2015 in Vancouver.